A project that took place during summer 2012. Aimed at young adults, it encouraged them to be aware of the possibilities available to them to advance their career paths. During the duration of the project is provided them to a distraction from the street/gang culture. It provided the beneficiaries with the opportunity to engage in mechanical work and help repair, redesign and restore old quad-bikes for road-worthy use. This project focused on the very direct aim of developing specific employability skills for young people. We chose to nurture interests in engineering and mechanics, as these skills are highly transferable and always in high demand. We chose quad bikes as this proved to be an effective and exciting way of engaging young people in this type of work. The result was not only to repair several quad bikes back to road-worthiness, but also to train a set of young people ready to face the challenges of a modern job market. Through our consultation with various young-persons groups in the West Midlands, such as the Wolverhampton Voluntary Sector Council, we found that a large number of young people in the area had a keen interest in mechanics and engineering, but without formal qualifications or the financial security to be able to go into apprenticeships they were unable to gain the experience necessary to be able to go into this kind of work in any meaningful way. Furthermore, our project targeted ‘at risk individuals’; young people who, for a variety of reasons, may be at risk of serious offending or falling into a pattern of gang culture, truancy, or drug use. For a city such as Wolverhampton, which has a long and proud history of industry and engineering, we also found that there was a huge skills shortage in the sector, which has meant many vehicles and kinds of equipment have fallen into disrepair. We therefore brought volunteers together and created a project which would not only provide them with skills and experience, but by doing so with quad-bikes, in a way that would be engaging and fun, as well as relevant and comfortable as a starting point for learning these skills. 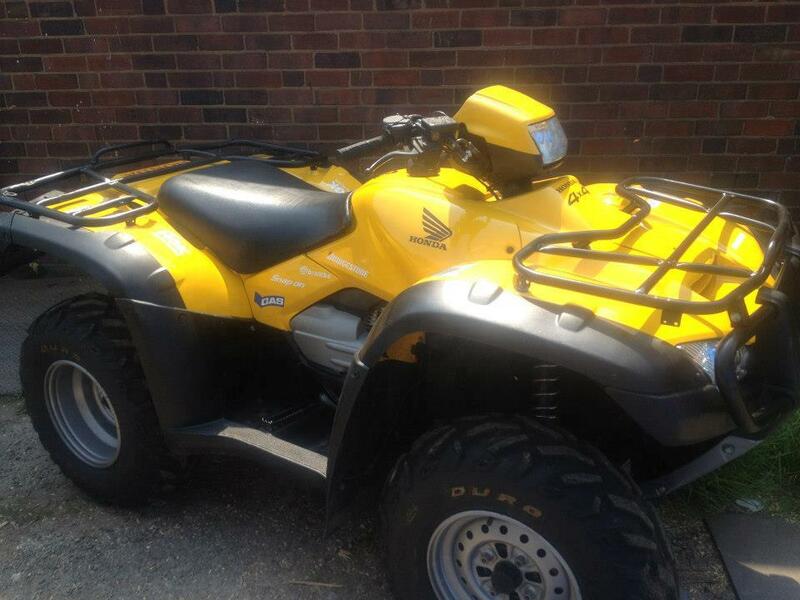 Our project worked to restore and repair several quad-bikes which were no longer fit for purpose. During the summer of 2012 we brought a small group of volunteers to a local workshop where they not only learned the processes of repairing the bikes, but the importance of working both as part of a close-knit team and working towards a shared goal.